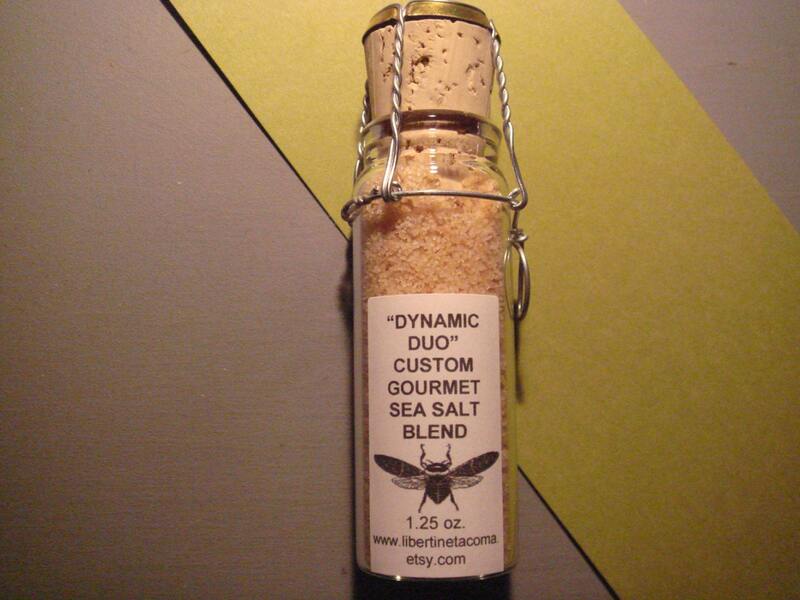 Roasted Garlic Sea Salt is blended with Sweet Toasted Onion Sea Salt and together they create Libertine Tacoma’s Dynamic Duo. The Roasted Garlic Sea Salt adds an all natural rich roasted garlic flavor combined with the deliciously rich onion flavor of our Sweet Toasted Onion Sea Salt you now have a combination that brings depth of flavor to practically any dish. The sky is the limit with what savory dish you can use this dynamic duo on!